Hot Shots Tennis Get a Grip apk android for ppsspp cheats rom cso free download working on mobile and pc,Clap Hanz, creators of the critically acclaimed Hot Shots Golf series, serves yet another exciting addition to one of the most beloved gaming franchises in the industry with the Hot Shots Tennis for PSP. 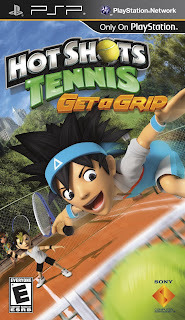 Complete with Hot Shots’ signature over-the-top visuals and pick-up-and-play fun, franchise fans will now be able to take the action on the go with new characters, exotic court locations, and fun-filled game modes. 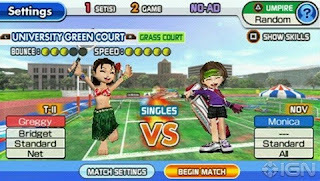 Incorporating gameplay balanced with fast-paced tennis action and strategy, players can not only engage in single-player modes to soar through the ranks, but take part in challenge modes and match-up play against friends. 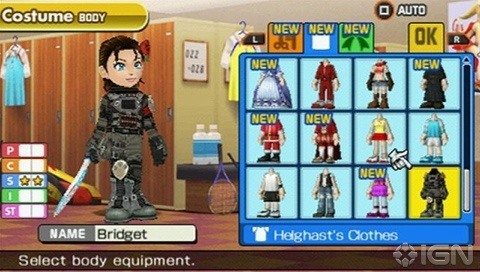 Mirroring the fun from Hot Shots Golf, players will also be able to customize and power-up their characters with unlockable collectibles available throughout the game.Multiple Characters to Choose — In true Hot Shots fashion, players can choose from a cast of wacky characters, all with distinct personalities and tennis skills. Spectacular Court Locations — Play on courts in various exotic locations around the world. 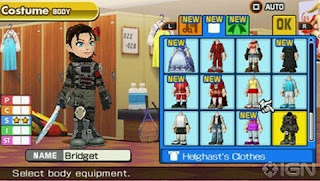 Fun Unlockable Items — Customize and power-up each player with a plethora of wacky collectibles unlocked throughout each game mode. Two-Player or Four-Player Doubles Matches — Players can compete head-to-head in a quick match against the computer or a friend, or engage in a doubles session (4 players) where fun and style go hand-in-hand with match strategy. 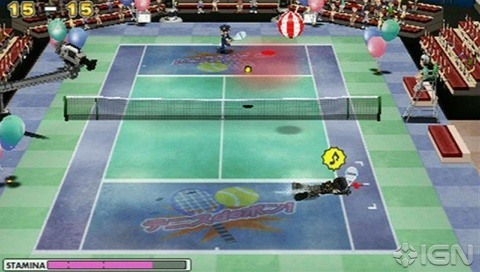 Signature Hot Shots Look and Feel — From the zany character behaviors and designs to the colorful locales, dramatic camera angles, and realistic physics, Hot Shots Tennis delivers tennis action that fans of the franchise have come to expect.